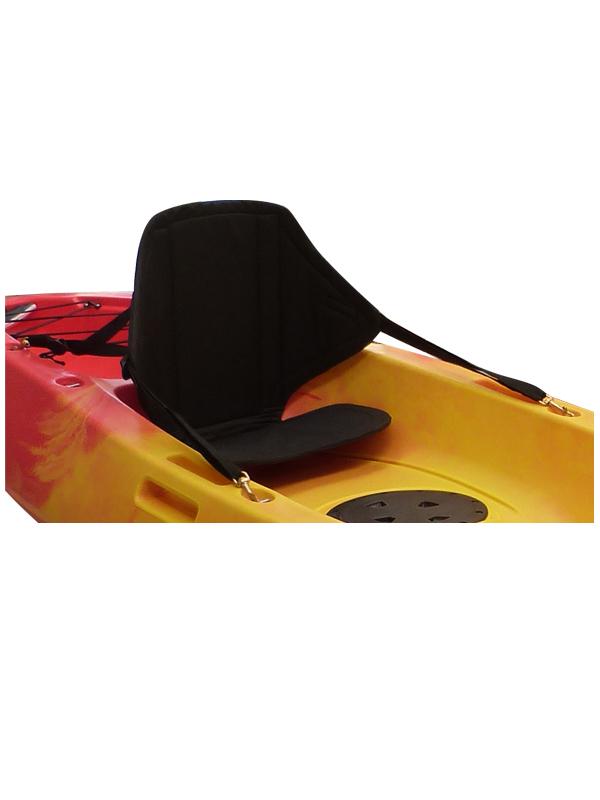 GoSea Deluxe Seat for Sit-On Kayaks is both lightweight and durable. Supplied in black polyester covered foam, the GoSea Sit On Kayak Deluxe Seat provides comfort with full seat and back support for the kayak paddle. Four adjustable webbing straps and brass dog clips allow for easy fitting to deck mounted eyelets on the kayak. Once fitted in place, the seat can be adjusted accordingly to the requirements of the user. The GoSea Deluxe Sit-On Kayak Seat has a convenient deep rear pocket with fully zipped closing that provides a handy storage area.